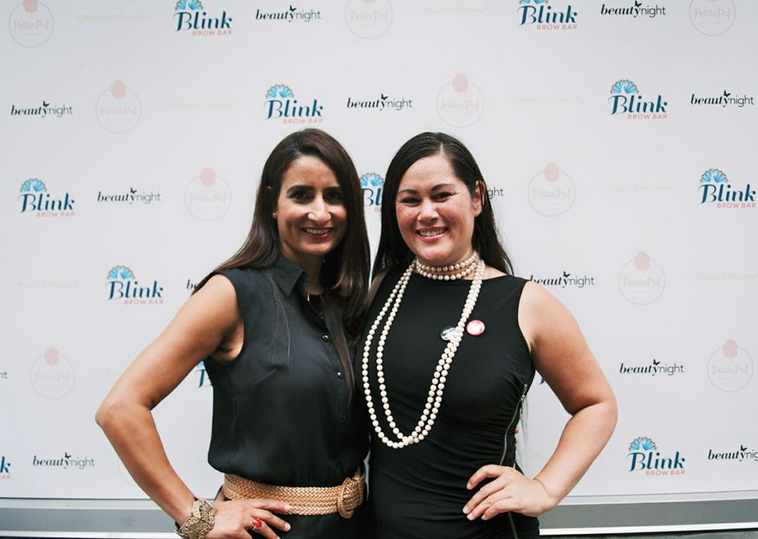 Following their one year anniversary celebration on September 17th and the launch of their Thread It Forward campaign, Vancouver eyebrow threading salon, Blink Brow Bar, is proud to announce the results of their efforts with a cheque donation of $3400 to Beauty Night Society. The Thread It Forward campaign (a play on the expression ‘pay it forward’) ran from September 19-22, where any customer that purchased a Blink Brow Bar eyebrow threading service during this time received a gift card to ‘thread it forward’ to a friend. All proceeds over the four day campaign were donated directly to Beauty Night Society to further ‘thread it forward’ to young women living in poverty. Through outstanding service and dedication to brow perfection, Blink Brow Bar is setting a new standard for creating the most beautiful brows in the city while working with organizations, like Beauty Night Society, to offer a unique way to build a community.